Thank you again for the big work you are doing ! This to avoid a mix with the Missions skills. I see what you mean, however the "quests" in-game are actually called Missions, probably to differentiate them from fantasy MMORPG games (which we cannot mention). This term could be confused with the Crew skill of the same name, so I've added a separate sub-forum for each of the Crew Skills e.g. Missions - Diplomacy. It is because of habits, Insidious. I have also problems with staying in the spamming flow, so to speak. And what about skins (is that the right word?). think you mean themes, not sure if thats possible this is phpbb3 forums board, not outdated phpnuke.. Here is another improvement proposal. Adding Main thread subcatecories like you did for Crew Skills. - For Companions, we may subcategorize by Professions. I m not sure if its good idea or not because the Main Forum page may look too heavy with all those. Maybe it s better if they are viewable at a sublevel of Forum. Also i have no idea if creating subcategories like that is a pain in the a$$ for you to create / encode. Creating sub-categories is relatively easy and they don't have to appear on the front page. 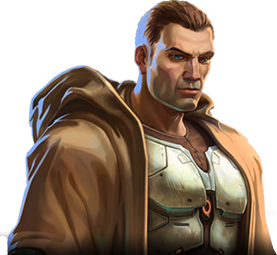 I don't think we will truly know how many forum categories we might need until we play the game in anger (which is true if you're playing a sith ). I'm happy to take suggestions for new forum categories as/when required but I guess we have to guard against creating so many sub-categories that people are confused where to post and also the information becomes diluted (because it is spread out). Let's re-visit the categories after launch and see what fits best.